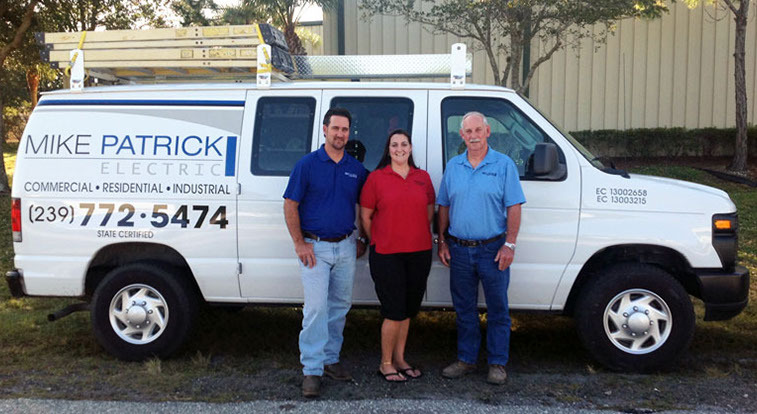 Mike Patrick Electric has been repairing and installing electrical systems in Southwest Florida homes and offices since 1983. Mike Patrick founded the company and is still active in everyday operations along with his son, Todd, and daughter, Joanne, both of whom have been responsible for running the business since 1997. With more than 25 experienced and licensed team members, we’re a family-oriented business that incorporates family-like values to serve our customers. One of the advantages that customers appreciate is having the company owners’ touch on every project. ©Copyright 2013. This site is powered by Spiro & Associates.